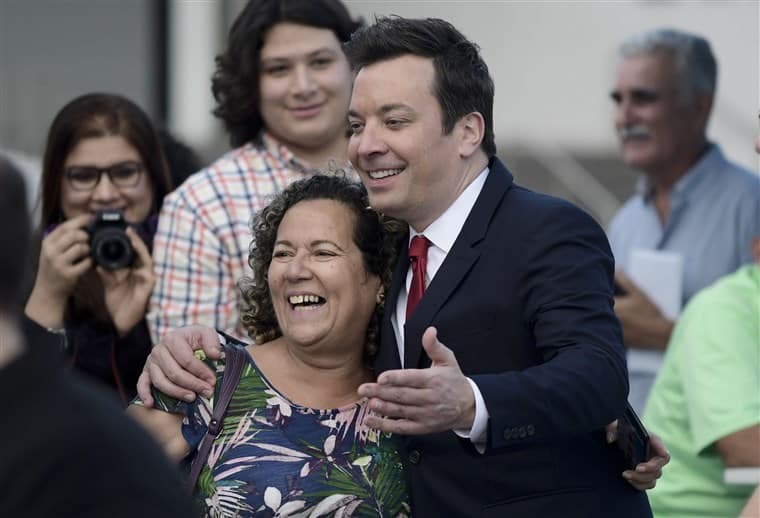 Jimmy Fallon is hosting @FallonTonight from Puerto Rico, and tells @gabegutierrez he's doing it to "show the resilience, the spirit…the culture of Puerto Rico." Fallon says he was inspired by Lin-Manuel Miranda. Reminding viewers that there are still great sites for tourist attractions in the beautiful island of Puerto Rico, and that in visiting he hopes it will bring Puerto Rico back on it’s feet by helping them repair what Hurricane Maria has taken.